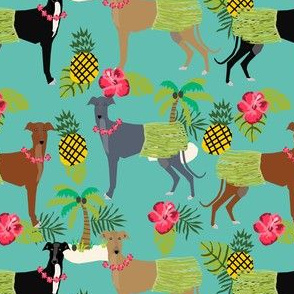 I have an Illustration degree from the Rhode Island School of Design, and I love creating my own original designs for fabric! 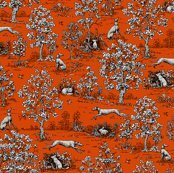 "FABRIC COLLECTIONS" below allows easy viewing of related designs. 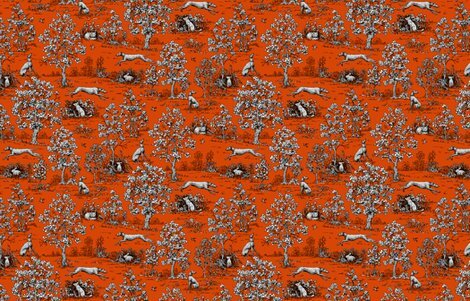 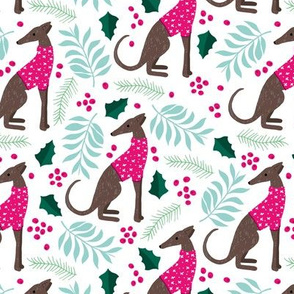 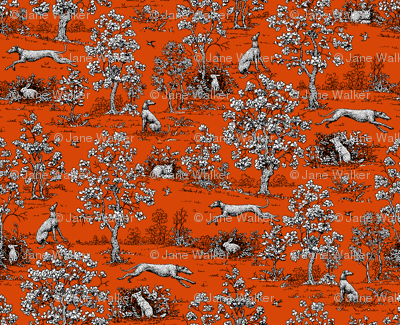 Bold red and black toile design with greyhounds on wrapping paper, wallpaper, and fabric. 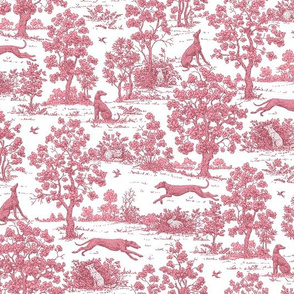 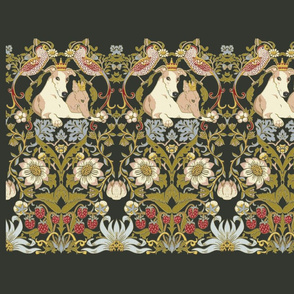 Greyhounds, rabbits, foxes, and swallows in a tinted toile. 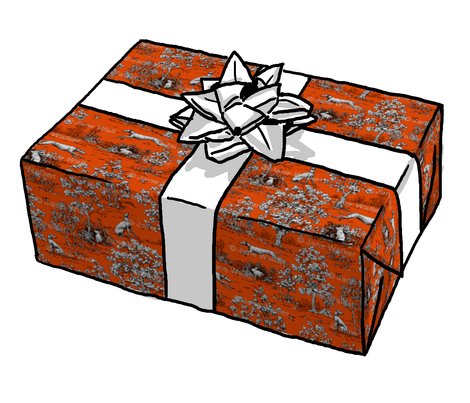 The traditionally white background has been tinted and details are highlighted in white. 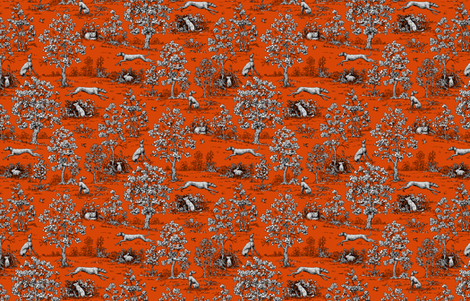 NOTE: The printed colors may be very different than what you see on your monitor! 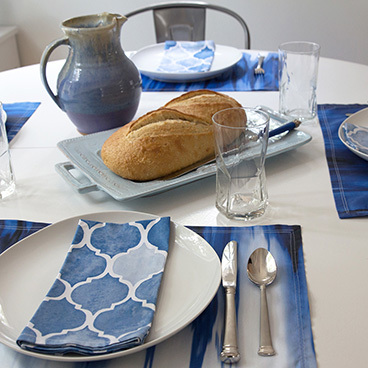 They will also vary from one fabric to another. 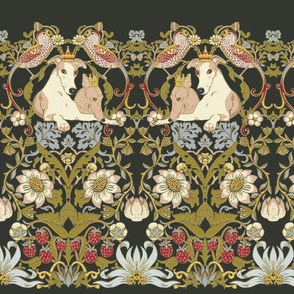 If color is important, please consider buying a swatch first. 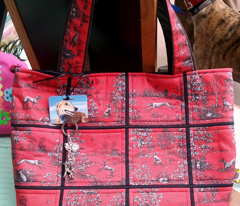 I have greyhound motif fabrics designed specially for martingale collars, pillow kits to make soft pillows of your favorite greyhound, and more.